Home > Arc Updates > Thank You Elder Law Lexington! Thank you to Elder Law Lexington, McClelland & Associates, PCLC for being a Living Hope Sponsor for the walk. 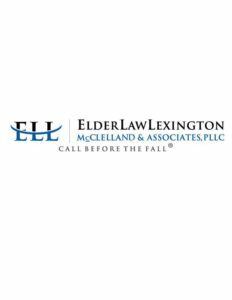 ElderLawLexington is the law firm of McClelland & Associates, PLLC. Their firm concentrates their practice to elder law and special needs counseling and estate planning. Robert McClelland holds an advanced Master of Laws degree in Elder Law from the Stetson University College of Law. He has been board certified by the National Elder Law Foundation and is designated as a Certified Elder Law Attorney. With attorneys Mark Maddox and Richard Dawahare, the firm has counseled hundreds of clients about Medicaid and long term care planning, Special Needs Planning, guardianship and VA benefits and currently serves as Trustee for the Kentucky Guardianship Association’s Pooled Special Needs Trust with over 200 special needs beneficiaries and more than 40 individual special needs trusts. The firm has also served as a professional legal guardian and conservator for multiple individuals for more than 20 years. We associate with the National Academy of Elder Law Attorneys, Inc.; Special Needs Alliance, LLC; the National Guardianship Association; ElderCounsel, LLC; Kentucky Guardianship Association, Inc.; Mid-South Estate Planning Forum and the Bluegrass Estate Planning Counsel.